When you're trying to lose weight, it's easy to assume that as the number on the scale goes down, other issues associated with weight will be resolved. For example, if weight gain was due to overeating, as it often is, it's understandable to expect that hunger and cravings would decrease along with pounds. A small but interesting study tells a different story. It followed 35 obese participants for two years as they were supported through a weight-loss program that included nutrition and exercise guidance. The participants were asked about their feelings of hunger and fullness and then fed a meal and asked again. In addition, hormones associated with hunger and fullness were tested before and after meals. The findings were intriguing because although the individuals lost weight and kept it off during the two years, their feelings of hunger and desire — but not their feelings of fullness — increased. The hormones associated with hunger and fullness went up as well. In other words, after two years, the participants struggled with increased hunger going into meals, and even though their hormones suggested they felt satiated, they didn't feel that way. One would hope that hunger and cravings would subside as weight changes, but that may not be the case. Managing hunger could be an ongoing struggle. Here are tactics to help you get through those hungry moments. 1. Eat fat, fiber and protein to boost feelings of fullness. 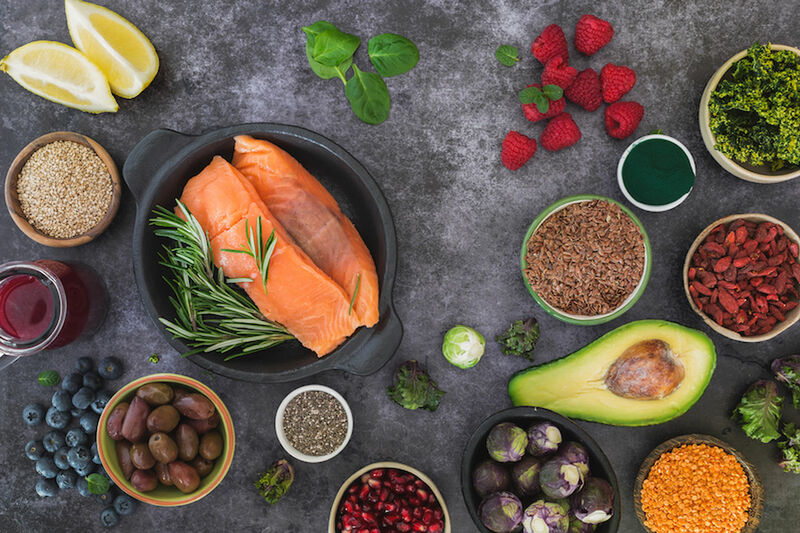 Depending on what's lacking, add heart-healthy fats, fiber-rich foods and proteins to balance out your plate and create a satiating meal. Add fats such as avocado, oils, olives, seeds and nuts. Choose a fiber-rich starch such as potato with skin, lentils or steel-cut oats. Add two to four fistfuls of vegetables at lunch and dinner. Incorporate proteins such as leaner cuts of meats and beans. Consider adding a few more ounces of protein if you tend to make lower-protein choices. 2. Be strategic about portion control. Trick your brain into thinking you're eating more than you are. Filling your plate with high-volume foods such as vegetables is a great way to allow a meal to appear larger than its caloric load. Using smaller plates and containers makes your meals look bigger. Eating smaller meals more frequently helps keep each meal small, and knowing the next meal is coming soon is comforting. 3. Be aware that feelings of hunger may not subside. It's easy to mindlessly overeat if you're starting a meal extremely hungry. Consider pausing before a meal to accurately assess your hunger and accept it. This could help you start eating more mindfully and slowly. Take five slow breaths before eating. Bring the breath into the abdomen rather than chest and breathe at a slow rate that feels comfortable. Look at your plate and assess whether the meal is balanced and satisfying. Pause while eating to taste the food and slow down the process of eating. Put your utensils down for a few seconds to eat more slowly and enjoy the experience. This article was written by Jae Berman from The Washington Post and was legally licensed through the NewsCred publisher network. Please direct all licensing questions to legal@newscred.com.